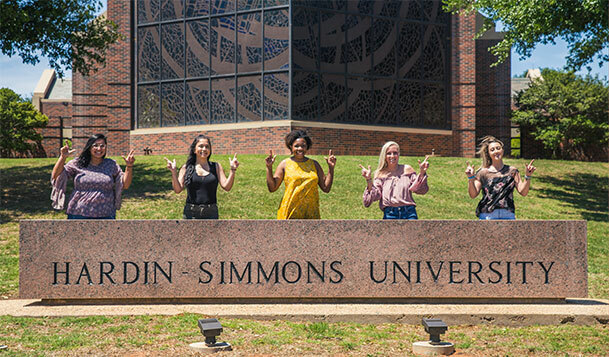 If you are 70½ years old or older, you can take advantage of a simple way to benefit Hardin-Simmons University and receive tax benefits in return. You can give up to $100,000 from your IRA directly to a qualified charity such as ours without having to pay income taxes on the money. This law no longer has an expiration date so you are free to make annual gifts to HSU this year and well into the future. By making a gift this year of up to $100,000 from your IRA, you can see your philanthropic dollars at work. You are jump-starting the legacy you would like to leave and giving yourself the joy of watching your philanthropy take shape. Moreover, you can fulfill any outstanding pledge you may have made by transferring that amount from your IRA as long as it is $100,000 or less for the year. No. The legislation requires you to reach age 70½ by the date you make the gift. Yes. Direct rollovers to a qualified charity can be made only from an IRA. Under certain circumstances, however, you may be able to roll assets from a pension, profit sharing, 401(k) or 403(b) plan into an IRA and then make the transfer from the IRA directly to Hardin-Simmons University. To determine if a rollover to an IRA is available for your plan, speak with your plan administrator. Yes, absolutely. If you have not yet taken your required minimum distribution, the IRA charitable rollover gift can satisfy all or part of that requirement. Contact your IRA custodian to complete the gift. No. You can give any amount under this provision, as long as it is $100,000 or less this year. If your IRA is valued at more than $100,000, you can transfer a portion of it to fund a charitable gift. No. Under the law, you can give a maximum of $100,000. For example, you can give each organization $50,000 this year or any other combination that totals $100,000 or less. Any amount of more than $100,000 in one year must be reported as taxable income. Contact Mike Hammack or one of our development officers at (325) 670-1260 or plannedgiving@hsutx.edu for additional information on giving an IRA gift.